12/4/2010Share this story on Facebook! 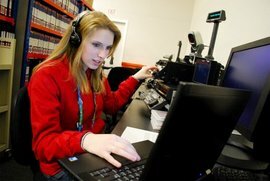 Meghan Rindfleisch '12 as an intern at the Winter Olympics in Vancouver in 2010. Park Scholars aren’t just lucky students chosen at random. To be considered for the award, students must demonstrate leadership, community service, and academic excellence. To be chosen, high school seniors must submit the separate Park Scholar Award application after applying to Ithaca College's Roy H. Park School of Communications. If chosen as a finalist, a student will be invited to the Park Scholar Finalist Program, held each year on campus in late March or early April. After an intense round of interviews and group discussions with the selection committee, the approximately 15 Park Scholar Award recipients are notified within two weeks of completing the Finalist Program. 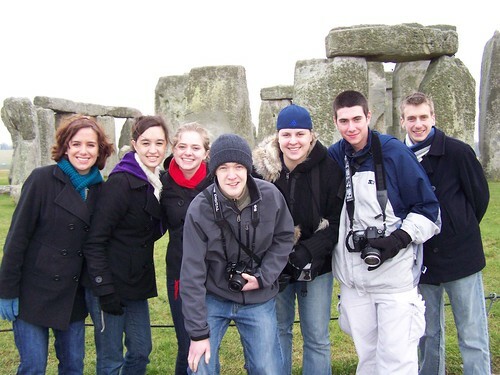 In 2008, the Park Scholar Program introduced the Rising Junior Award to give current Park School students an opportunity to be recognized for their outstanding achievements. These students also complete the application and finalist interview process, and once admitted to the program receive the same benefits as all Park Scholars for the final two years of their Ithaca College education. To be considered, students must have a minimum 3.5 cumulative GPA, demonstrate a commitment to community service, possess strong leadership skills, and participate in extracurricular activities. Each year, for approximately 15 fortunate (and grateful!) incoming freshmen in the Roy H. Park School of Communications, that dream I just described becomes reality. As recipients of the prestigious, merit-based Park Scholar Award, these students receive a full cost-of-attendance scholarship renewable for each of their four years at Ithaca College. The scholarship covers tuition, room and board, books, a living stipend, and a one-time laptop computer purchase. Funded through the generosity of the Park Foundation, the Park Scholar Award represents a tremendous opportunity for students with a commitment to the field of communications and dedication to community service. As a Park Scholar myself, I can attest to the fact that this opportunity is much more than a financial one – the Park Scholar Program truly is a unique learning community. Scholars come together through academics, community service, professional development, and more. 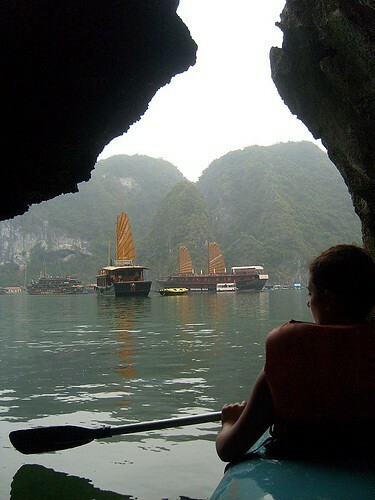 Kirsty Ewing '11 kayaks through Halong Bay in Vietnam. First-year Scholars also participate in Community Plunge, a Jumpstart Program focused on community service. “I didn't know what to expect from Community Plunge, but it was really fun and it was great to meet other freshmen who I share similar interests with,” recalls Sarah Parker ‘14. 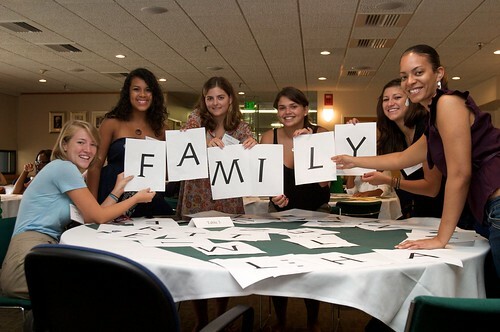 Additionally, first-years live in the H.O.M.E program, a residential learning community on campus that explores multicultural issues. 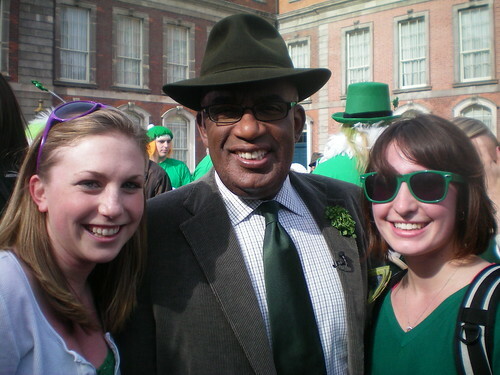 Freshman Megan Devlin enjoys living with her fellow Park Scholars, MLK Scholars, and other H.O.M.E residents. “We have had such a great living experience with almost all of us being on the same floor -- but also hanging out with the MLKs,” she says. “We've even had a few ‘T3 outings’ that have hallmarked our group experience thus far.” First-year Park Scholars also participate in the first-year Park Scholar seminar, a class that explores critical issues of communications, globalization, and the media. Park Scholars and MLK Scholars participate in a team building exercise during Park Scholar orientation weekend. Juniors in the Park Scholar Program usually begin to turn their focus toward the future. Each year over fall break, junior Scholars travel to New York City on a job-shadowing trip. As a junior, I shadowed Park Scholar alumna Morgan Steele ’05. Morgan is a NYC event planner for Fourth Wall Events, and I helped her with day-of tasks for a “Streets of New York” event at the Hilton that had a custom Broadway performance created especially for the event! I also shadowed IC alum Sheryl Victor-Levy ’92, founder of the social media and marketing firm Savvy Strategy. Some other juniors took advantage of shadowing opportunities at ESPN, Sesame Street, and Nick Jr.! Park Scholar seniors are some of the most prominent leaders both for the Park Scholar community and on campus. Libby Sile ’11 is the Editor-in-Chief of The Ithacan, and Amanda Roselli ’11 is the Vice Executive Chair of Marketing for IC After Dark. Fellow seniors Karla Berberich and Maura Gladys volunteer as coaches for the Ithaca Youth Bureau Rotary Soccer Program. Every two years, many of the Program’s seniors are among the Ithaca College students to be chosen for the prestigious NBC Olympics Internship program. Frieda Becker ’11 was chosen as a recipient of the Reginald Simmons Memorial Award, which sent her to Togo, Africa to volunteer with Operation Crossroads Africa. 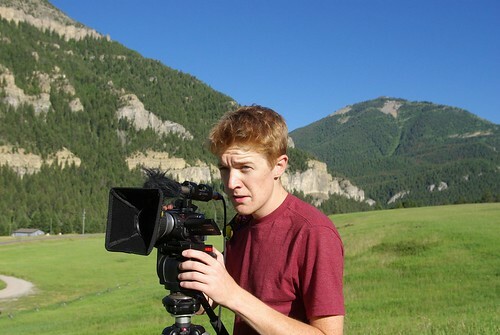 Eric Keto '11 working on a documentary film in Montana. Seniors also have the opportunity to participate in the Park Scholar New Orleans Service Trip, where Scholars spend a week of their winter break volunteering through a local organization to help rebuild the vibrant city of New Orleans. 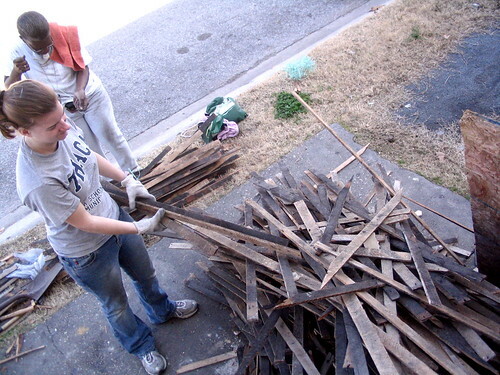 Mary Michalow '10 volunteering in New Orleans. Scholars from across each of the four years participate in a Saturday Seminar each semester. These seminars use a combination of readings, film screenings, and group exercises to spark discussion on a variety of social, cultural, and technological issues that are relevant to the field of communications. Scholars are also given a front-row seat to each year’s Park Distinguished Visitor lecture, and are often invited to attend a reception before or after the program with the distinguished guest. Previous guests have included CNN’s Christiane Amanpour, Arianna Huffington of The Huffington Post, author Tom Wolfe, and this year’s guest -- James Carville. Current Park Scholars are given the opportunity to network and catch up with Park Scholar Alumni each fall, when the Alumni return to campus and present workshops on everything from how to market yourself as a freelancer to how to use your communications degree in a non-traditional way. Park Scholars (L to R) Jacquelyn Simone '11, Mykal Urbina '11, Corinne Colgan '11, Eric Keto '11, Maura Gladys '11, Brian Ropp '11, and Zachary Tomanelli '11 at Stonehange.